Heat oven to 300 degrees and line cookie sheets with parchment paper. In mixing bowl, cream together the butter and sugar. Add molasses and vanilla and stir. In a medium sized bowl, whisk together the flours, xanthan gum, baking soda, baking powder, and spices. Stir well and then add to the butter mixture and mix in. Add the coconut and rolled oats and stir. Roll dough into small balls and place on cookie sheet. Flatten with a cookie press or the bottom of a glass. Bake for 12 – 14 minutes or until nicely browned all over. Let cool for a few minutes before removing from the pan. They will be rather crumbly at first. These taste good straight from the oven, but get even better with age. It’s not until the next day that they really crisp up and take on the taste of those Dad’s cookies. It seems that nut flours need that time to absorb the flavours of other ingredients. TIP: You can also add 1/2 cup chocolate chips or raisins to these too! 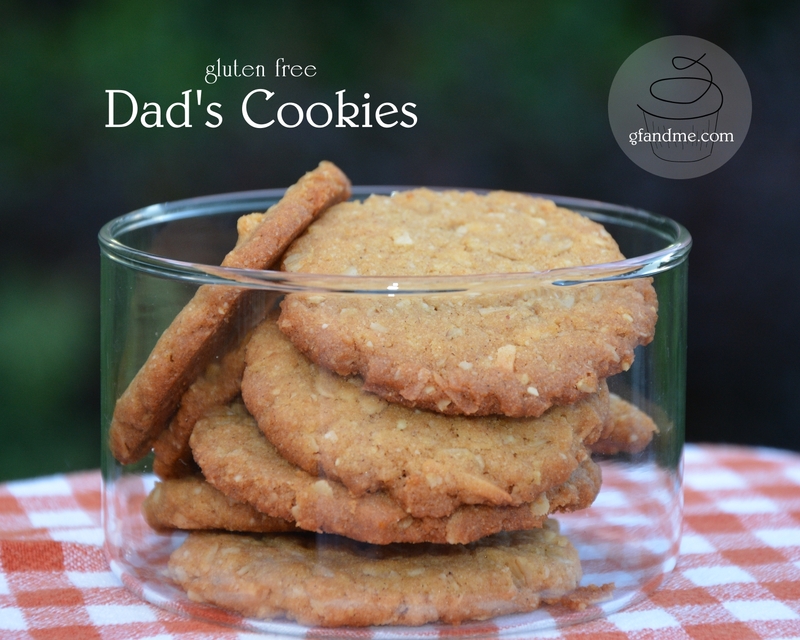 This entry was posted in Baking, Recipes and tagged almond flour, coconut flour, cookies, gluten free, oat flour. Bookmark the permalink.